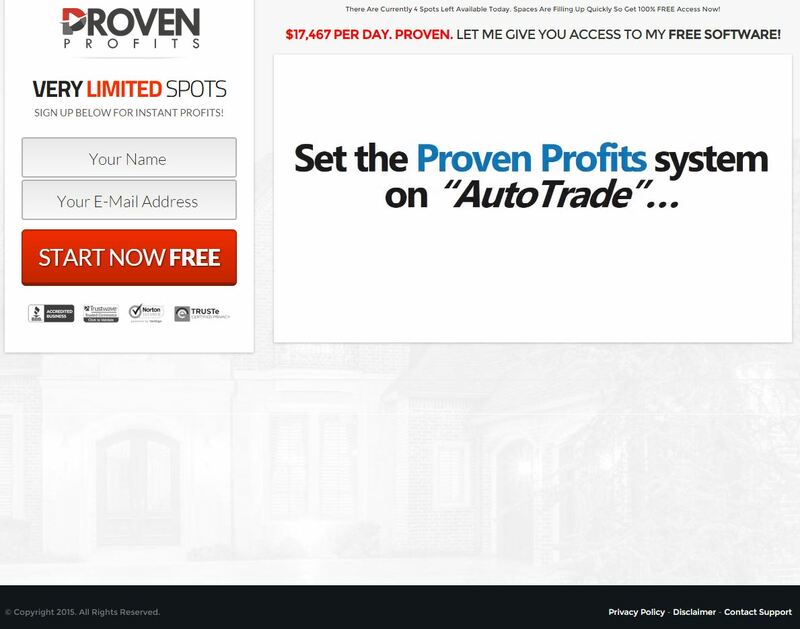 Today we are going to review an ordinary binary options scam called „Proven Profits“ presented by Matt Baker. Proven Profits is a binary options trading system that is supposed to make you money for free. You don’t have to learn anything, you just need to make a few clicks. It is of course a nonsense. Baker uses the usual lie saying that you don’t have to pay anything in order to use his system. But the truth is that you will first have to opce a binary options trading account and deposit money into it. So you cannot start for free, you have to pay at least $250. Then you have all the testimonials in the video that are made with paid actors, so they are not real. Another big problem are the misused logos of the Better Business Bureau, Trustwave, Norton and TRUSTe. The Proven profits web site is not accredited with the BBB nor has the right to use any of the mentioned logos. Finally Proven Profits are supposed to be verified by TradeVerify.net. But as we know, TradeVerify.net is just a scam made to support binary options scams. Our usual conclusion applies to Proven Profits too. Don’t trade with these automated binary options systems that promise to make you a millionaire. If you do, you will lose your deposit. The only way to make money with binary options is to learn to trade and trade yourself.